Gifts and ethnic clothing shop in Oswestry > Gifts > Hanging Things! Saa paper is a special, handmade, thin paper made from the bark of the Mulberry tree. 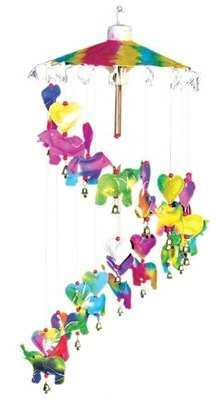 This elegant mobile has small bells hanging below each of the elephants.